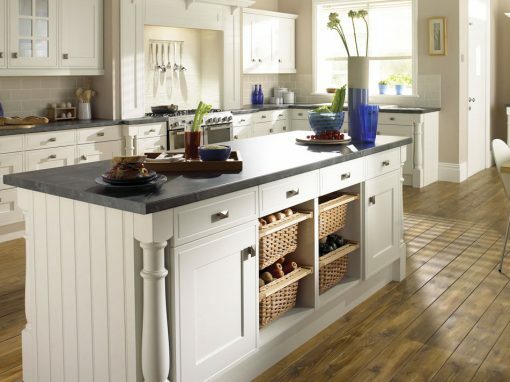 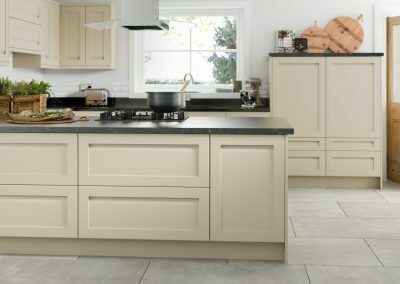 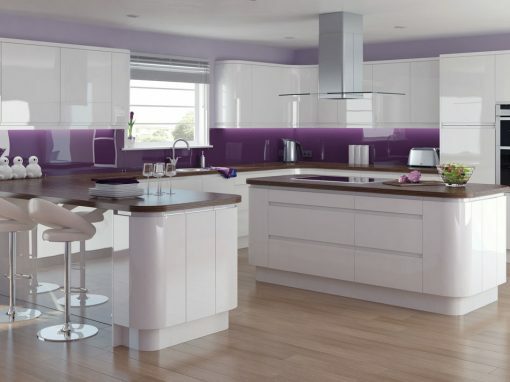 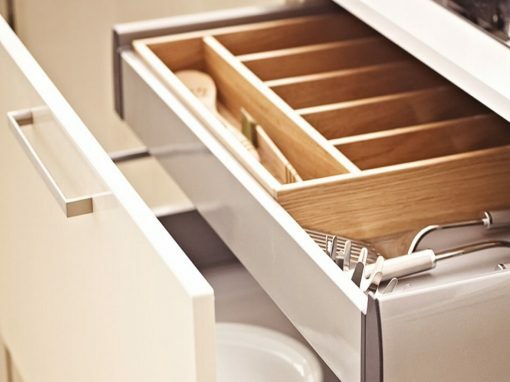 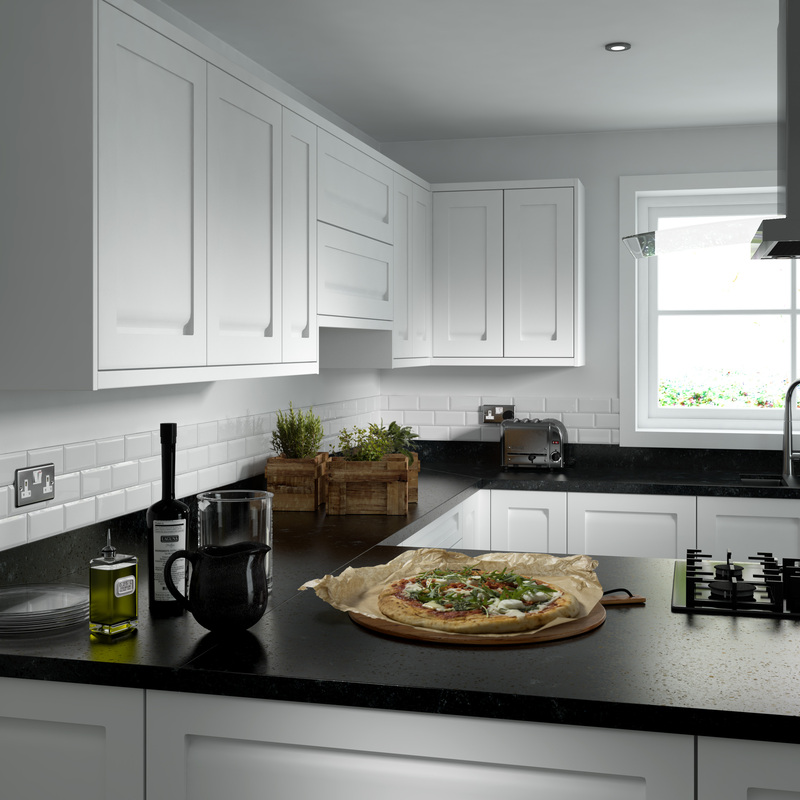 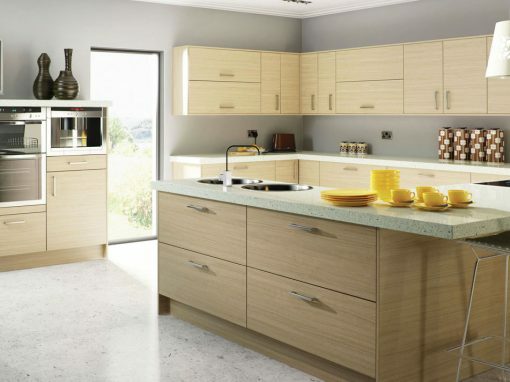 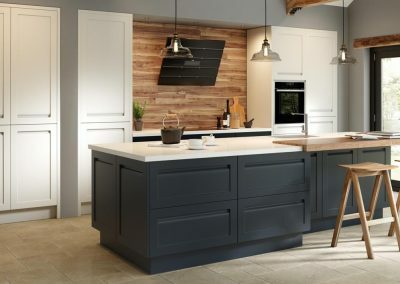 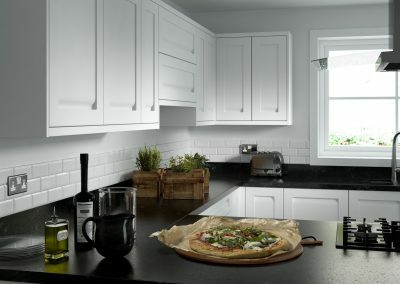 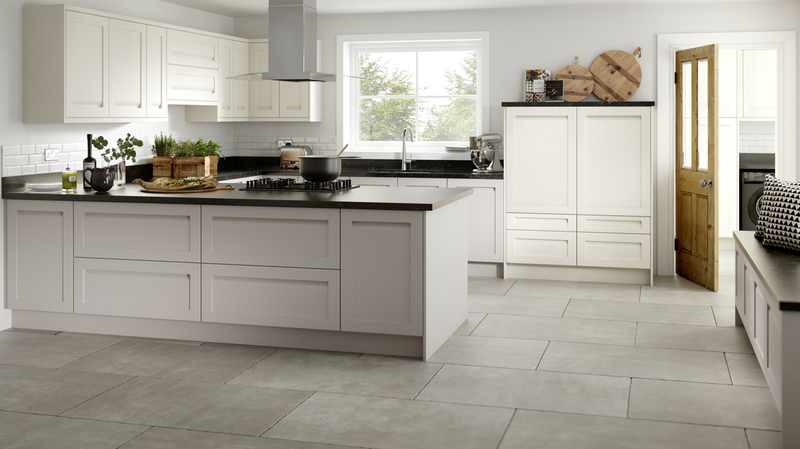 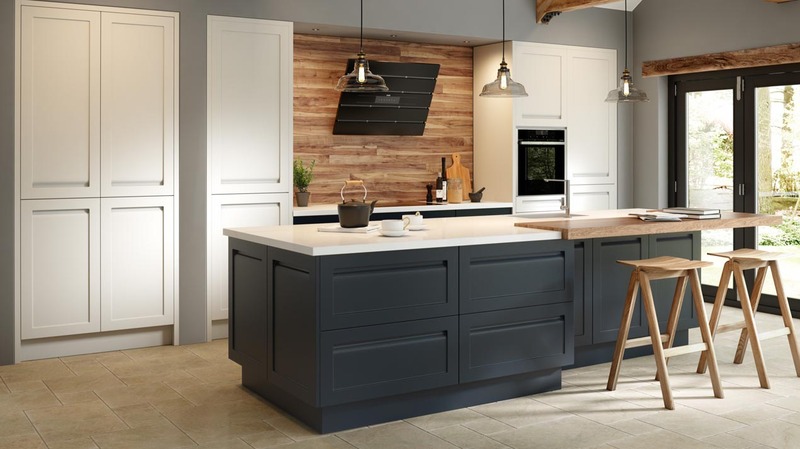 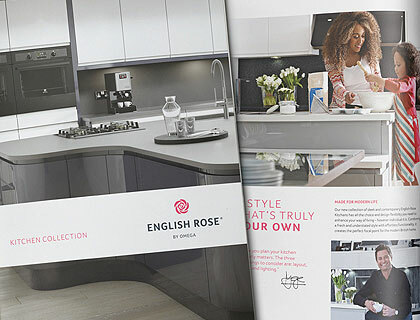 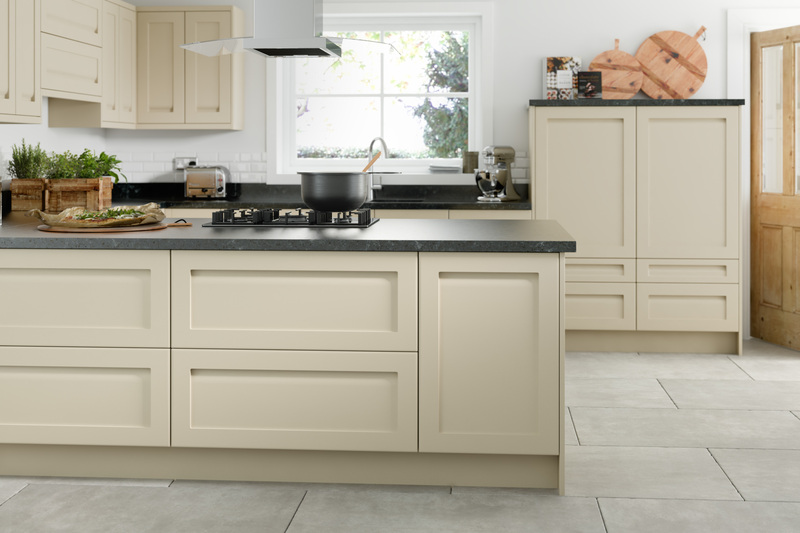 An MDF Shaker-style door with an integrated handle recess in a Matt finish. 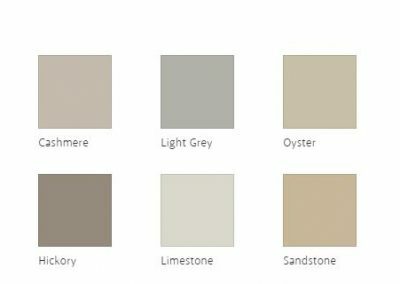 Available in a choice of 14 painted colours – shown in ivory and cashmere. 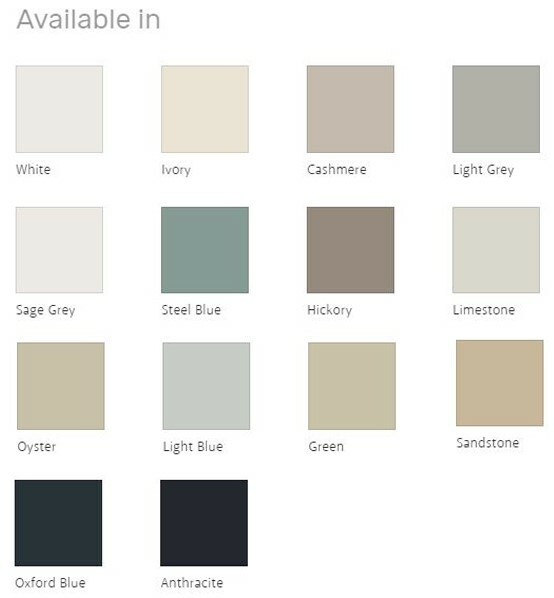 COLOURS – Ivory, Light Blue, Green, Cashmere, Hickory, Oyster, Light Grey, Steel Blue, White, Sage Grey, Oxford Blue, Limestone, Sandstone & Anthracite.